Emergency Locksmiths will solve your locksmith problems in minutes! 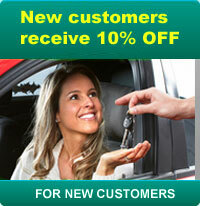 USE Torontonian Locksmith services more than once and receive 10% off your next service call. 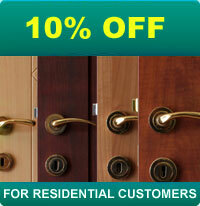 Emergency Locksmiths covers the GTA and surrounding areas for Locksmith Service. Please give us a call for locksmith services even if you don't see your city listed. Home security is one of the primary features people look for while selecting a home to purchase. In order to create an environment which is both safe and calm, the security system of the home needs to be well installed and maintained. Torontonian Locksmith is amongst the best locksmith companies out there in Canada serving Toronto and surrounding areas in the GTA. In order to get our locksmith service for the protection and safety of your place, it is crucial that you trust us and know exactly who we are. We are one of the biggest locksmith companies operating at all levels, like Commercial Security, Residential Security, Automotive Service and Emergency Security Service. The reason for our successful locksmith business is our customers trust which is gained by our effective customer representative department and the locksmith services we render. What does Torontonian Locksmith offer? We do not take holidays or weekends off, the safety of our customers is our first priority. Our locksmith services include installation as well as repair of new and old security cameras at reasonable and appropriate rates. We provide emergency repair services for residential as well as the commercial places, emergency lockout services for both types of spaces, business and house lockouts, safe opening, installation and replacement of deadbolt and much more. 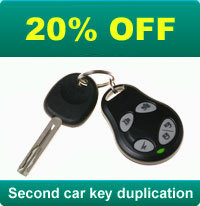 In addition, we also make car keys and serve you any time if you have lost your car keys. Complete installation of the security system is a primary function of Torontonian Locksmith. This includes the replacement, installation as well as modification of the complete security system of the house or any other building. There are some additional security features that we have to offer which include modification, repair and installation of the lock systems. If you lose your keys in any incident, you may contact us to get your keys remade or to get your locks replaced so as to render the security system useable again. If you lose your keys during some busy hours, you do not have to worry as our personals will get to you in time and have your issue resolved within no time. Torontoian Locksmith was proud to provide our locksmith services to Big Brother Canada as we did all the door closer and meg locks for the "Big Brother Canada" show. Copyright 2019 © torontonianlocksmith.ca All rights reserved.